Eco Vape Point Five Ohms Lemon Tart 50/50 E-Liquid - Money Off! Delivering the taste of the classic baked good, Eco Vape Point Five Ohms Lemon Tart 50/50 E-Liquid features the taste of sharp lemon curd encased in fresh pastry. Eco Vape are a UK based company that's committed to providing vapers with the highest quality, best value E-Liquid that is sure to satisfy even the most seasoned and picky vapers. The Point Five Ohms range delivers the rich and potent flavours that are expected of sub-ohm vaping without the complex or expensive hardware. Lemon Tart is supplied in a 10ml bottle with three nicotine strengths. 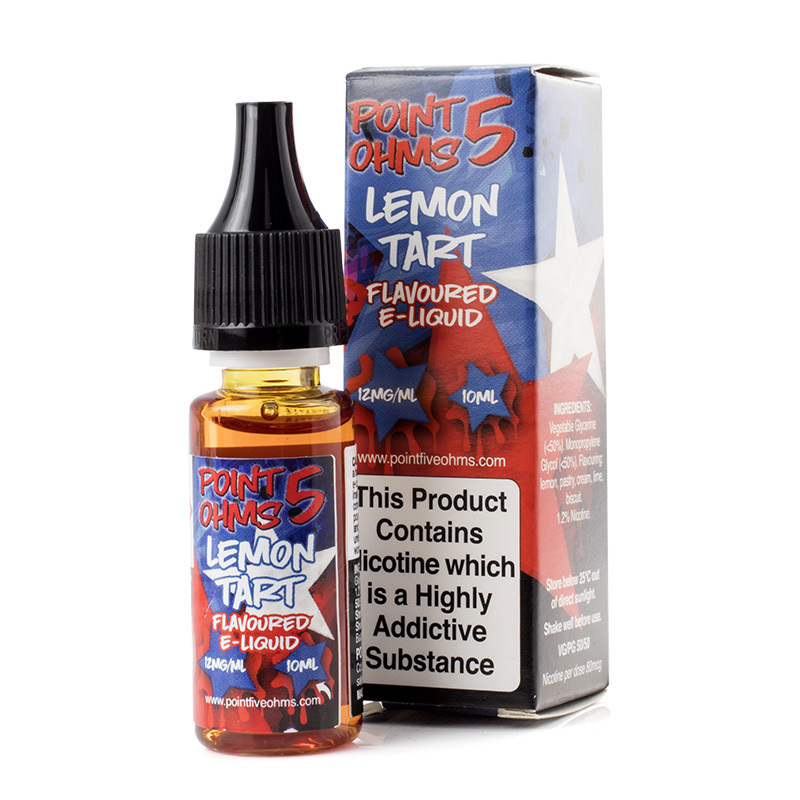 Some of our stock of the Point Five Ohms Lemon Tart E-Juice is nearing its expiry date and, in light of this fact, we are offering the affected stock for a discounted price of £2.00. Act quickly, as this offer is only available while stocks last! Sharp yet sweet, Lemon Tart takes the taste of a rich and tart lemon curd and encases it in freshly-baked pastry. Ideal for dessert-loving vapers everywhere, it delivers a satisfying and filling vaping experience. Lemon Tart e-juice features a 50/50 VG/PG blend for a balanced vaping experience. Eco Vape Point Five Ohms Lemon Tart E-Liquid is supplied in a 10ml bottle.